Make a grand entrance with a new Replacement Door. 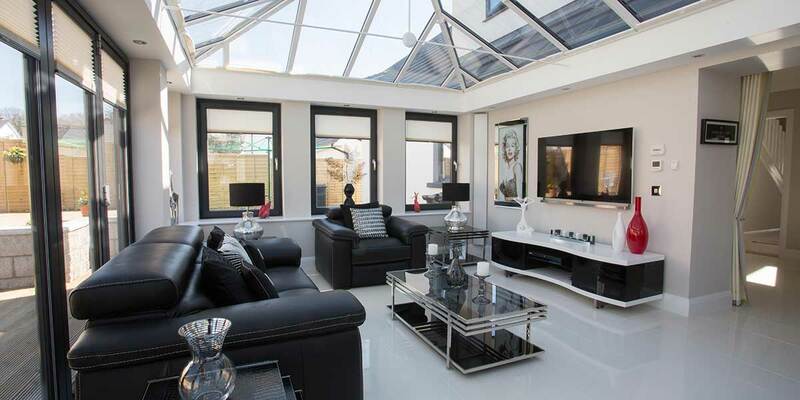 Need inspiration for your new home extension? 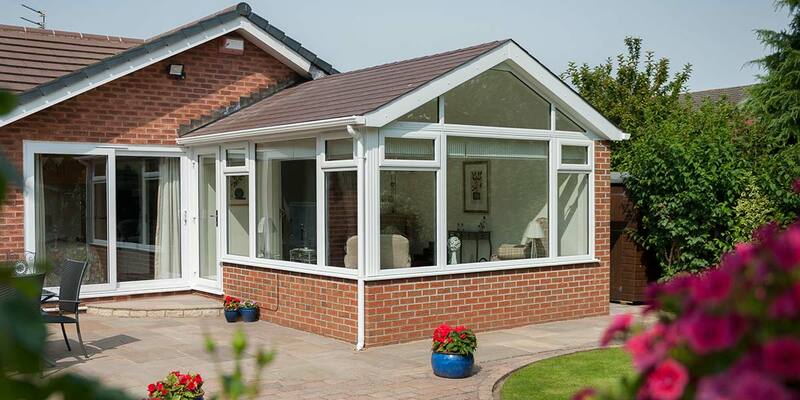 Choose from our selection of extensions - tailormade for your needs, home & budget. Fitted kitchen that’s perfect for you and everyone that uses it. 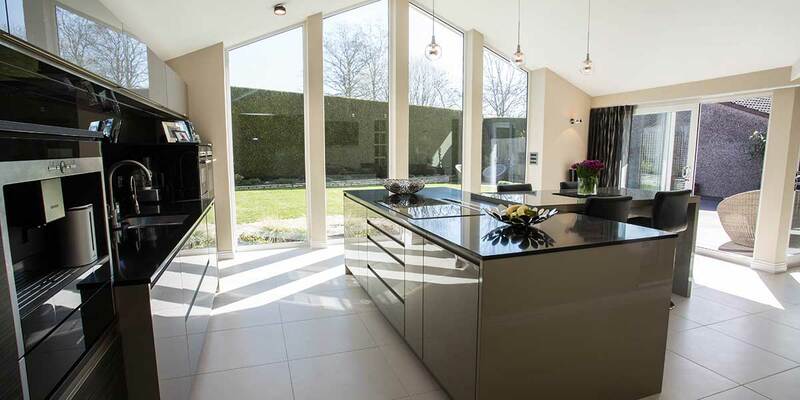 Designer looks or traditional style, Bon Accord Glass kitchens have it covered. 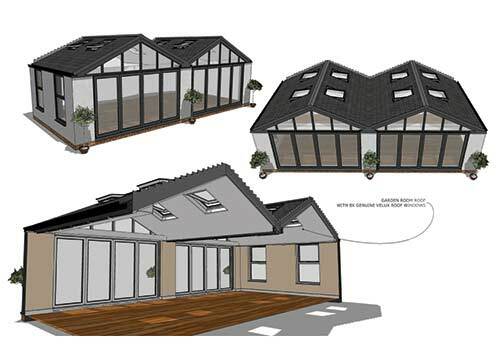 Bon Accord Glass has designed and built many different types of home extensions for our customers. 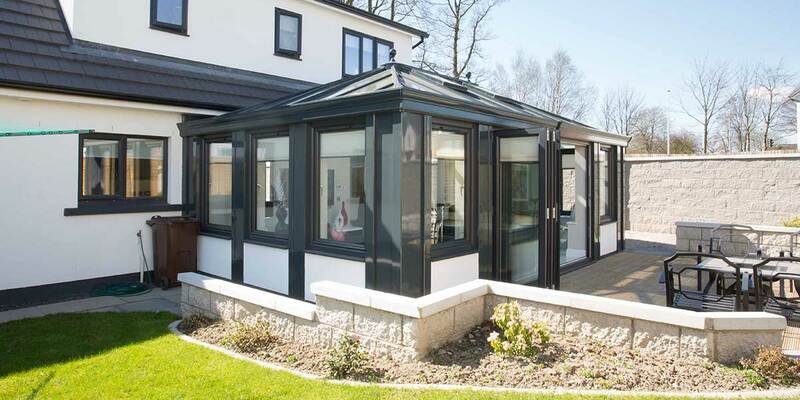 From conservatories, orangeries, sunrooms, tiled roof and kitchen extensions, loft or garage conversions, we can create an extension to suit your needs, your home and your budget - all backed by Bon Accord Glass excellence. 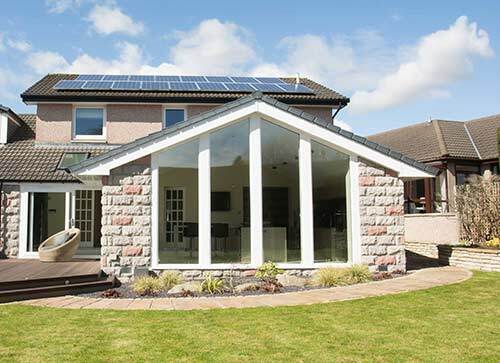 Bon Accord Glass offers a comprehensive guarantee on all our home extensions. With the confidence of knowing that we will be here on hand if you ever need to use it. And, as your complete home improvement specialist, Bon Accord Glass can design, supply and install a new kitchen and other furniture and fittings for your extension too. 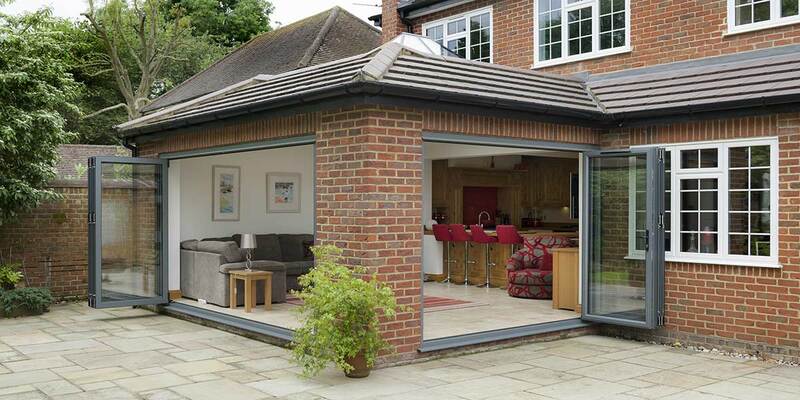 With such a vast range of home extensions and living spaces on the market today, it can be daunting thinking about where to start. A little planning upfront about how you want to use your new space will help us to ensure your final project is exactly as you imagined. 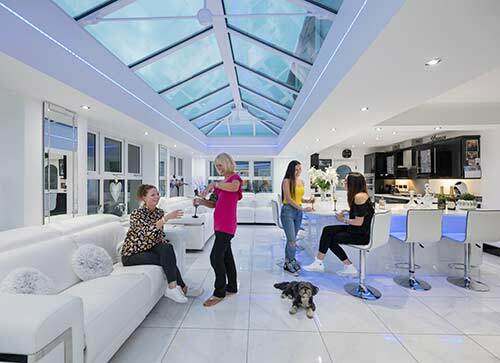 Our friendly design experts are on-hand at every step to help and advise you on the main design considerations, technical details and finishing touches to suit your lifestyle, your home and your budget. Whether you know exactly what you want, or are simply ready to be inspired, we’ll help you bring your ideas to life. For help & advice call 01224 588944 today! Where in your home will your new living space be? Will it be North or South facing? Are you overlooked by neighbours? 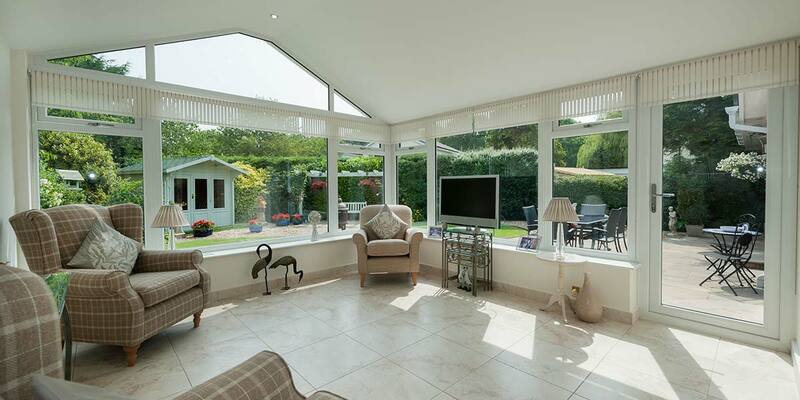 Do you want to make the most of your outside views? Where you plan to locate your new living space will impact on a number of choices including roofing, glazing options, feature doors and security accessories. How do you plan to use your new space? 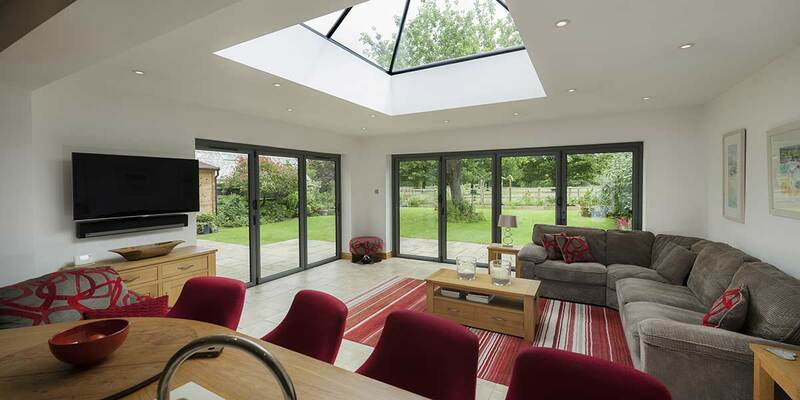 Whether it be extra room for the kids to spread out, a large open kitchen or simply a space to relax and enjoy the garden views, we can help you choose the ideal shape and design for your needs. Square or rectangle designs often provide the greatest floor space for family rooms, whereas an “L” shape design make way for great multi-use spaces. 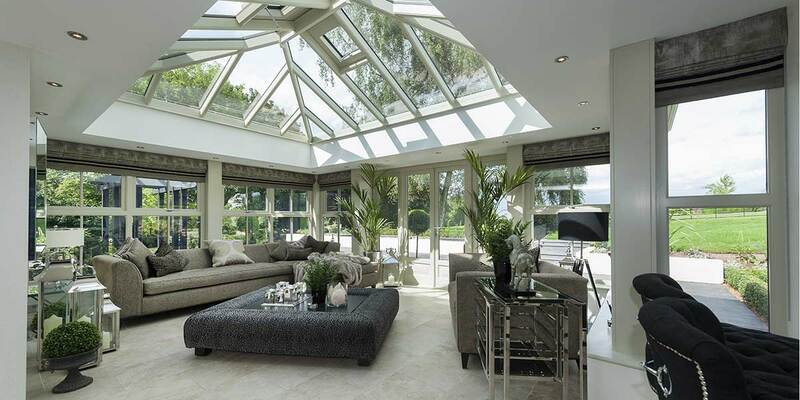 From a traditional sunroom to a sleek and contemporary design, we can help you choose between UPVC, timber and aluminium frames, solid roof systems, skylights and performance glazing, to classic or modern accessories. It’s all about aesthetics, so try to consider the ‘look’ you like whilst you browse through our website and when your ready to get in touch we’ll help you choose the right materials to achieve it. 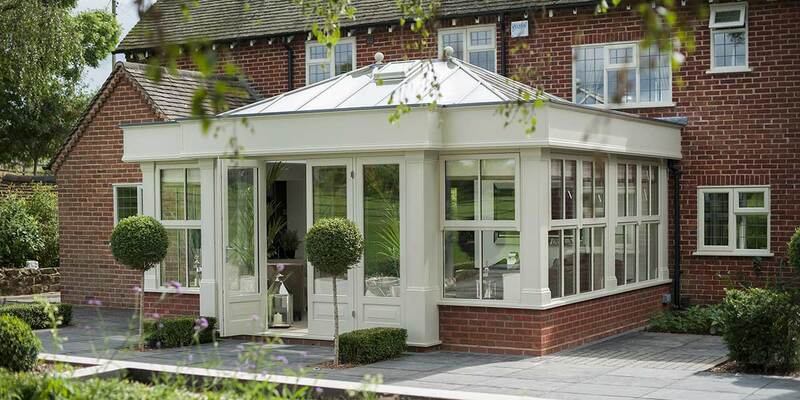 Simple and stylish, the conservatory is designed to look and feel like an added feature of your home. The extensive use of solar control glass allows for uninterrupted views of your garden, flooding your home with natural light and warmth. 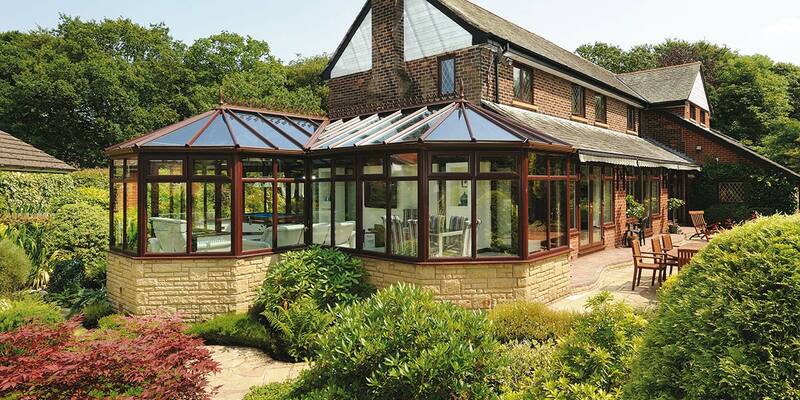 View our range of conservatories. More space for your family to enjoy and perfect for entertaining. 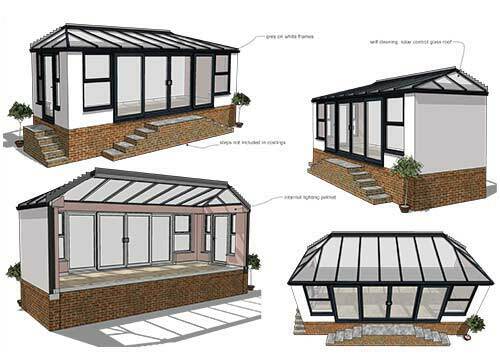 An exciting alternative to the conservatory, the orangery incorporates brick pillars alongside large windows and feature doors to create a perfectly coordinated addition to your existing home. Ideal for those looking for a little more privacy and a more elegant finish, whilst still maintaining that beautiful view. 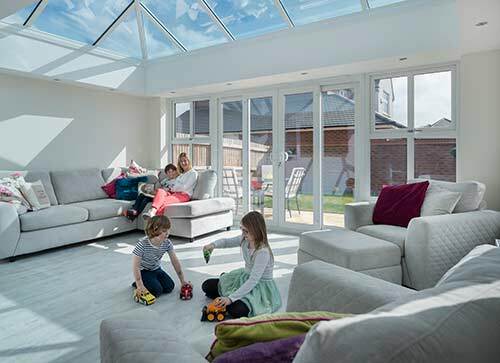 A hugely popular choice, our latest sunrooms give you unlimited possibilities to achieve a warm, thermally efficient room without having to compromise on natural light. 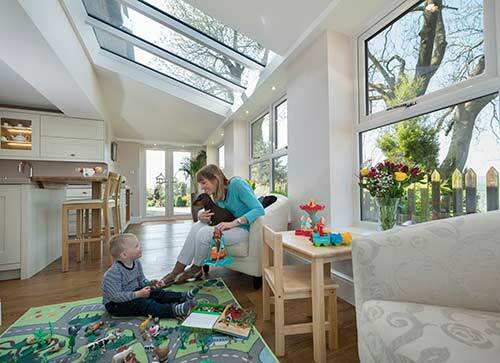 Glass panels and Velux windows can be seamlessly integrated exactly where you want them, creating a practical and versatile family space that will stand the test of time. 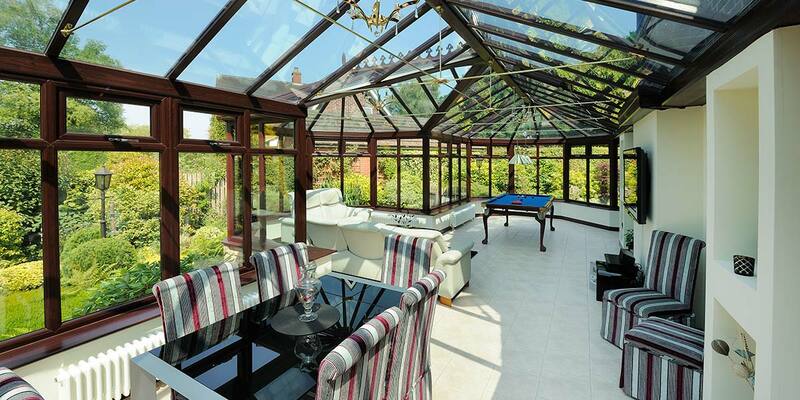 Whether the extensions for your home to form a larger kitchen, dining room or lounge. Whether you are converting your loft into a bedroom, playroom or study or just adding a utility room our team can help you plan your extension, based on your needs, taste and budget. 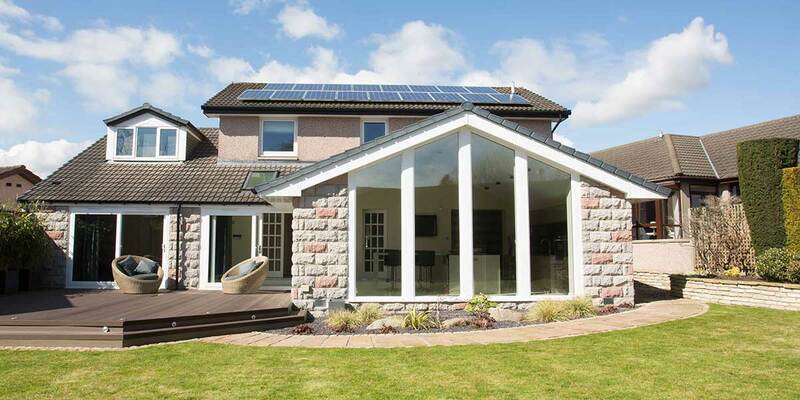 It’s the same comprehensive service that we offer for all home extensions, taking care of everything for you from original design to planning to the finished job - and all backed by the Bon Accord Glass guarantee. Find out more about our extensions & conversions. 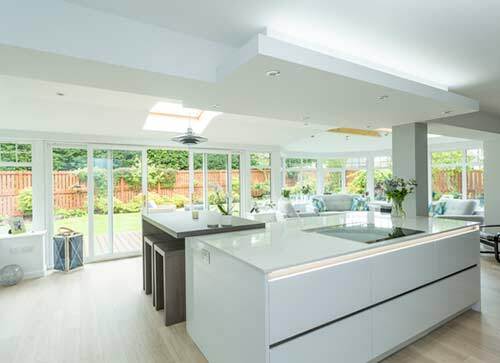 Bon Accord's tried and tested method of extending kitchens is guaranteed to leave you with an impressive new-look kitchen that excites the entire family and will be the beating heart of your property for years to come. It will also add some serious financial value to the house. Not only can we extend your kitchen area we also other a huge range of fitted kitchens, guaranteed to suit your needs, your home and your budget - all backed by Bon Accord's excellence. 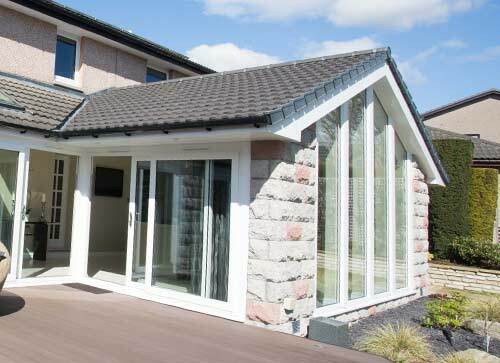 Bon Accord Glass offers a comprehensive guarantee on all our kitchen extensions plus you can choose from a range of finance options to make it that little bit easier to afford. 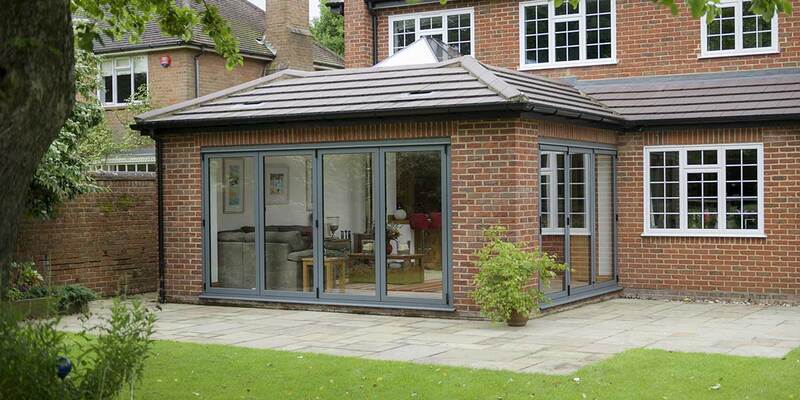 Find out more about our kitchen extensions. Make your house a home! 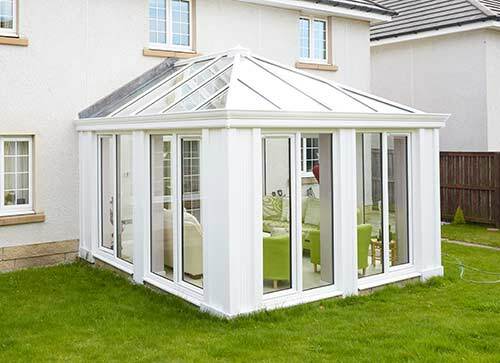 Let Bon Accord Glass take care of it – get in touch with us today and see how we can help. or call us today on 01224 588944.